That is why there is so much popular “Buzz” about stem cells these days. Major universities all over the world are now involved in conducting scientific research on stem cells in order to discover more about these elemental cells and the way they function. Stem cells can be collected from several sources in the human body, and once they have been properly prepared, they can provide useful – even miraculous – treatments for all organ systems of the human body. In this comprehensive post, we will discuss more about this complex, compelling, exciting and life-changing topic. 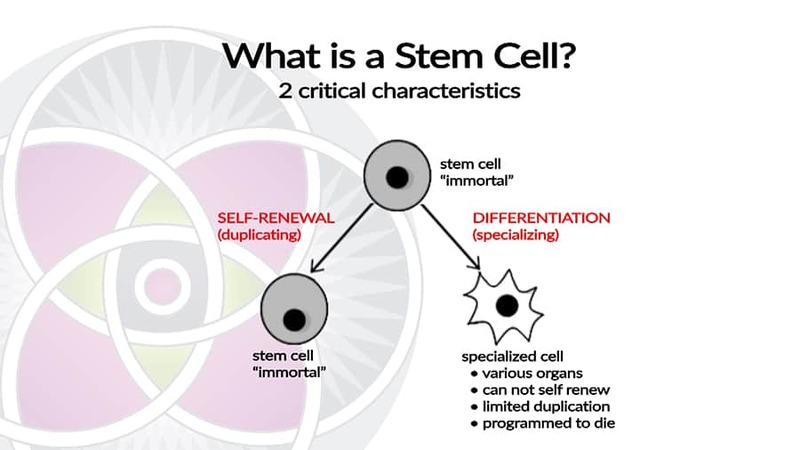 Stem cells refer to “original” cells that are “undifferentiated” which means they have not yet become cells that are a part of a specific organ system. In fact, stem cells have the potential to become “differentiated” and become specialized cells that are transformed into different organs tissue. What are stem cells? They are undifferentiated cells. Like the cells of any organ such as your kidney, skin, or liver, differentiated cells have specialized purpose that perform specific functions. Before stem cells differentiate into specialized cells, they can divide through the process of mitosis which leads to the production of more stem cells. 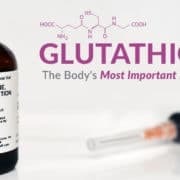 This is called the self-renew capacity which ensures that every organ in your body always has enough stem cells in it that can create, repair and replace tissue that is damaged, diseased and no longer functioning properly. Humans have two types of stem cells: embryonic stem cells and adult stem cells. Embryonic stem cells are the initial group of cells that comprise the embryo during the first few days after conception. Each of these embryonic stem cells has the potential to differentiate into all the organ systems of a developing baby. 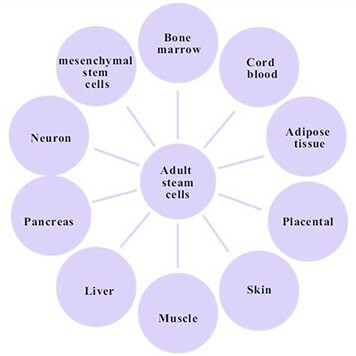 The second category, Adult Stem Cells, are the stems cells that can be found in each of the developed organ systems. These organ specific Stem Cells, are in charge of repairing and regenerating new cells and tissue of their specific organ. For example, stem cells found in the liver take care of liver cells, and can generate new liver tissue whenever needed. Accordingly, kidney stem cells do the same for kidneys, and skin stem cells do that for skin. Thus, each organ system has stem cells that are specifically programed and equipped to care for, repair and regenerate tissue of that organ. Adult stem cells that are found in different organs are also known as “somatic” stem cells. They can remain in a non-dividing state for years. However, when the organ tissue becomes injured or diseased the stem cells become activated and start dividing. These somatic/organ stem cells have the capacity to divide indefinitely in a process called “self-renewal”. Current scientific understanding reveals that adult stem cells of a specific organ can even regenerate an entire original organ of the same type. Thus liver stem cells have the capacity to generate an entire new liver. 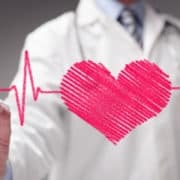 Whether or not stem cells from a specific organ can also become other types of organ cells and tissues is still a controversial and debatable subject. FROM WHERE DO WE “HARVEST” HUMAN ADULT STEM CELLS FOR MEDICAL TREATMENTS? What are stem cells? 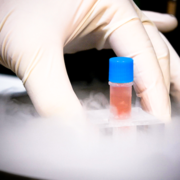 Harvested adult stem cells must be processed. Bone marrow: These stem cells can be harvested by extraction, which involves drilling into the patient’s bone, usually the iliac crest bone (part of the pelvis bone just above the hip), or a leg bone (Femur, in the thigh – or Tibia, below the knee). As you can imagine, this is not a very pleasant procedure. Lipid cells: Stem cells found in the adipose (fat) tissue require extraction by liposuction. This too is not a very pleasant procedure. Blood: In this case, the harvesting process can be done through a simple and easy process of collecting blood, as if you were making a blood donation. Processing: In each of the above 3 processes, the harvested tissue must pass through specialized machines where the harvested stem cells are cleansed, purified and concentrated in preparation for being re-introduced back into the body of the donor, who is also the patient. 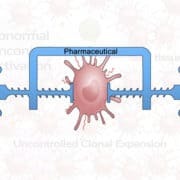 Depending on where the prepared stem cells are being injected, they may be prepared in different ways and combined with different formulations. Embryonic Stem Cells exist only in human embryos that are no more than 1 week old. In other words, embryonic cells can be found only during the very first week of the development of a human’s embryo. (This first week of development is called the blastocyst stage). In the medical world, these embryos usually come from In-Vitro fertilization clinics, where human eggs are fertilized with human sperm under laboratory conditions and then frozen for future implantation into the mother when she is ready to carry a baby. What are stem cells? 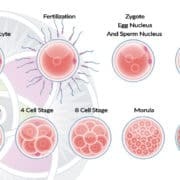 The blastocyst stage. 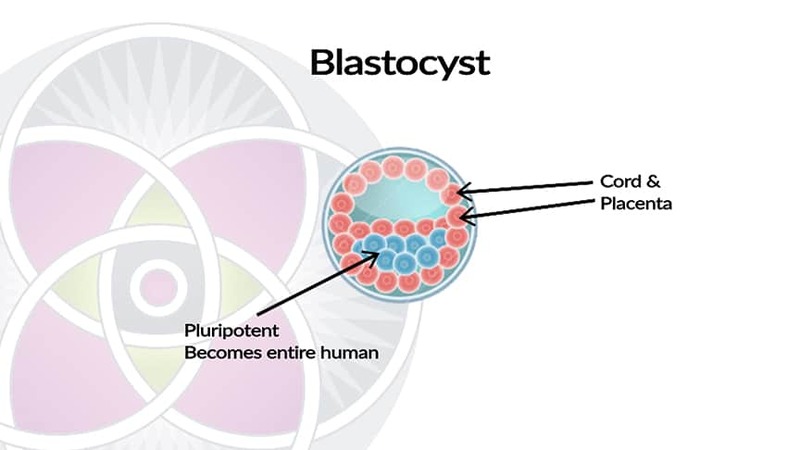 After the first week of development, the blastocyst develops two layers of cells: the outer layer of cells forms the placenta while the inner layer will eventually differentiate into different cell “lineages” in order to create all the necessary structures and organs of a complete human baby that will grow into an adult. All this leads to the production of specialized cells that form the different organ systems. Self-renewal: This refers to the cells’ ability to go through unlimited cell division cycles while keeping their undifferentiated state. Thus each new generation of stem cells is duplicated by identical new generation of stem cells. Potency: Cell potency is stem cells’ ability to differentiate into specialized cell types as part of the tissue of a specific organ. Multipotent: these cells will only make certain cell types, being quite limited in their capacity. Generally speaking, the stem cells that exist in an organ, such as a liver, pancreas or skin, are designed to only produce new liver, pancreas or skin cells/tissue. 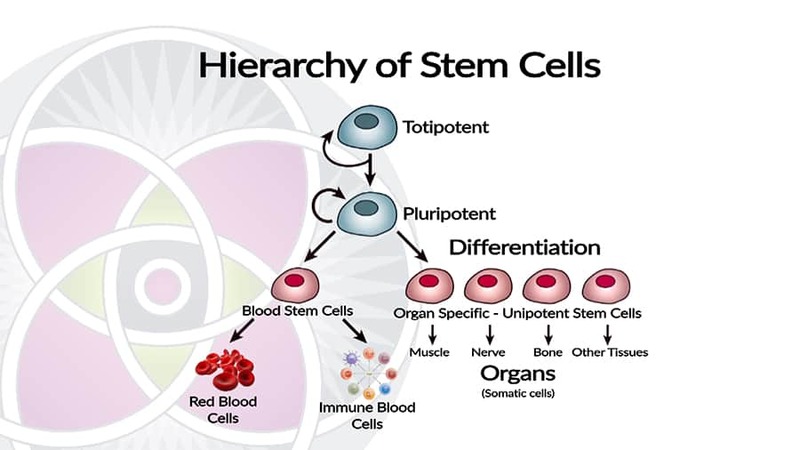 Pluripotent: these stem cells can transform into all the cell types that will differentiate into specialized tissues that develop into the various organs of a complete human. Totipotent: cells that have the potential to create all cell types including placental cells. Only the earliest of cells of an embryo during the first 4-5 days after fertilization are totipotent. As original embryonic stem cells develop, three different “lines” of cell types emerge: endoderm – from which organs such as the liver and pancreas develop, mesoderm – from which tissues such as bone, cartilage, and vascular tissue is developed, and ectoderm – from which tissues such as brain and nerves, teeth, eyes, and the epithelium of the skin are developed. Every cell in a human body comes from one of these three fundamental cell lineages. There are two major problems associated with the use of embryonic stem cells. Ethical: As these cells can be obtained only from a developing human fetus, they necessarily involve interfering with the potential development of a human being. Biological: As these cells still retain their pluripotent potency, they can develop into any kind of adult tissue. Therefore, there is a significant risk that if these cells are inserted into an adult, that the wrong kind of tissue might develop. Say for example, these cells are injected into a damaged or diseased human liver in hopes that they will generate new liver tissue, but instead, bone tissue is created. Obviously, this unintended consequence could be very detrimental. Therefore, as a general rule, fetal stem cells are considered dangerous and are NOT used in medical science. Adult stem cells found in fully formed human organs, whose purpose is the repair and regeneration of that specific organ. Though all adult stem cells share certain characteristics, modern science is discovering that they also differ from each other in distinct and important ways. The most commonly utilized adult stem cells are extracted from either bone-marrow, fat, or blood. 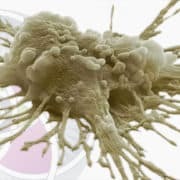 These stem cells have fully developed and unique cellular identity of the person from which they were harvested, and therefore will cause an immunological rejection if introduced into any other human. 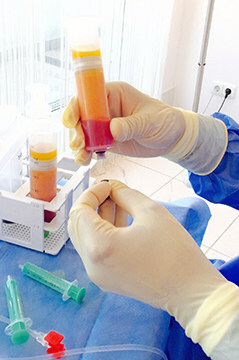 Therefore, adult stem cells can only be utilized by the person from whom they were harvested. Placental tissue includes the placenta, amniotic fluid and the umbilical cord. This tissue is unique in that it is not part of the developing embryo nor does it belong to the mother. Therefore, the stem cells that are in the placental tissue are not programed to become specialized organs like all other stem cells. These stem cells have essentially already reached their final developmental destiny, and upon the birth of the baby, all the placental tissue is discarded. And yet, the placenta, the amniotic fluid, and the umbilical cord have stem cells that can be harvested at the same time the baby is born. As these stem cells do NOT genetically belong to the mother, baby, or father, they do not have a genetically distinct identity that would make them incompatible with other humans. Therefore, they CAN be used medically for other adult humans without causing immunological rejection. 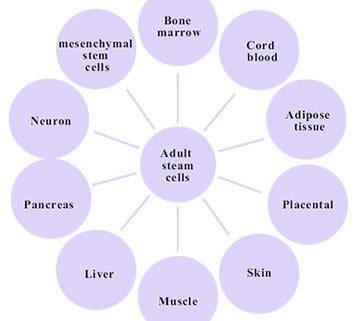 These placental stem cells have additional biochemical and cellular characteristics that make them different from other stem cells, and most promising for the advancement of Regenerative Medicine. So, what are stem cells and what are they used for? These cells are quite special because they can divide and differentiate, creating new tissues, cells, and even an entire organ. Adult stem cells have been used in human treatments and stem cell therapies for many years. The advancement of Stem Cell research is an increasingly important area of the medical field. They can replace or heal damaged cells or tissues in the body. You can even say they work as a built-in repair system for the entire human organism. Stem cells replenish other affected cells during a person’s entire life. Adult stem cells are called the body’s “natural” solution. This is because they can be found in our bodies in their natural form. When any part of human physiology is in need of healing due to a disease or damage, these cells provide a repair mechanism to replenish your tissues.